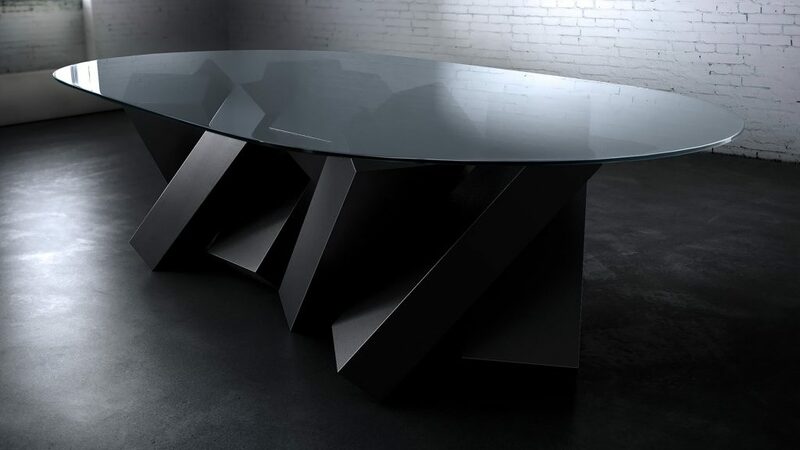 The monolithic design takes its inspiration from The Sentinel, a book by Arthur C.Clarke that went on to be made into the film 2001: A Space Odyssey, directed by Stanley Kubrick. 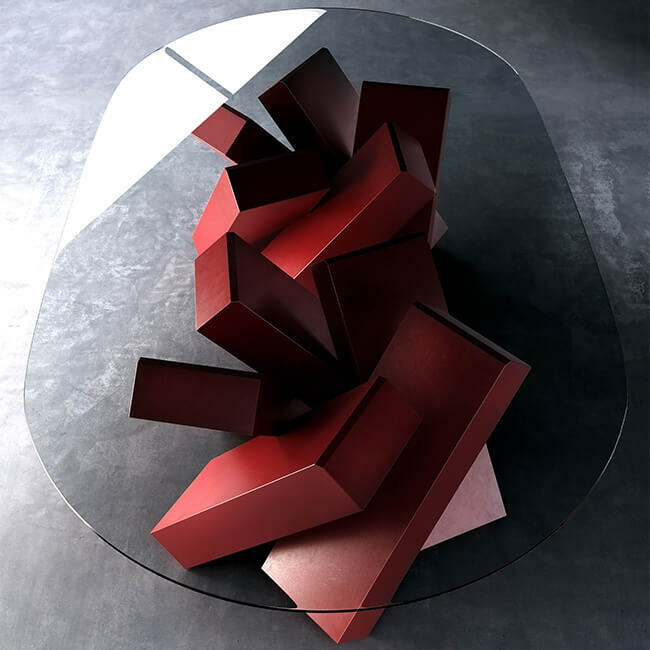 Powder-coated mild steel, toughened glass. 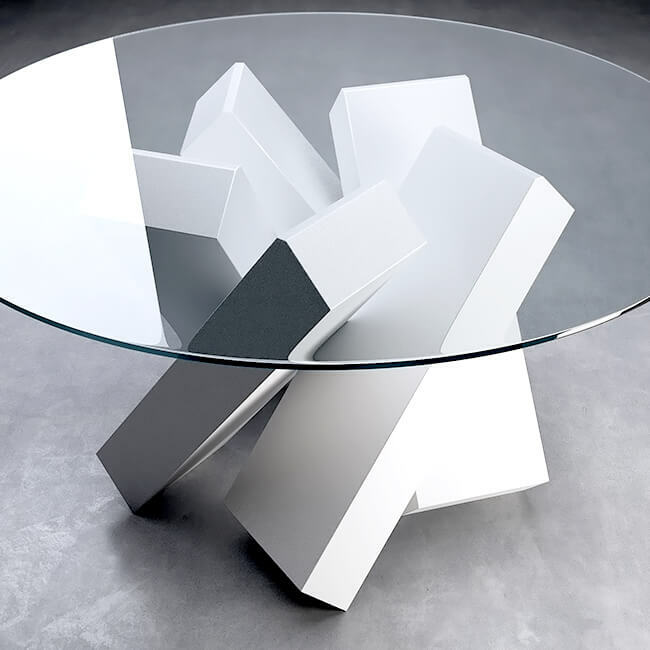 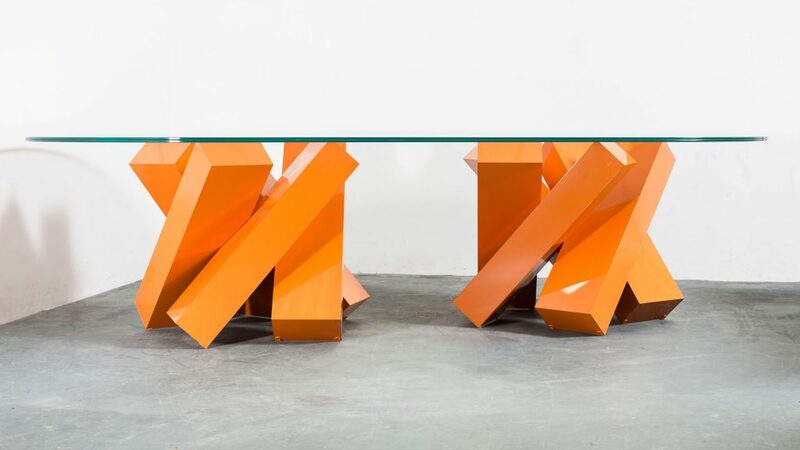 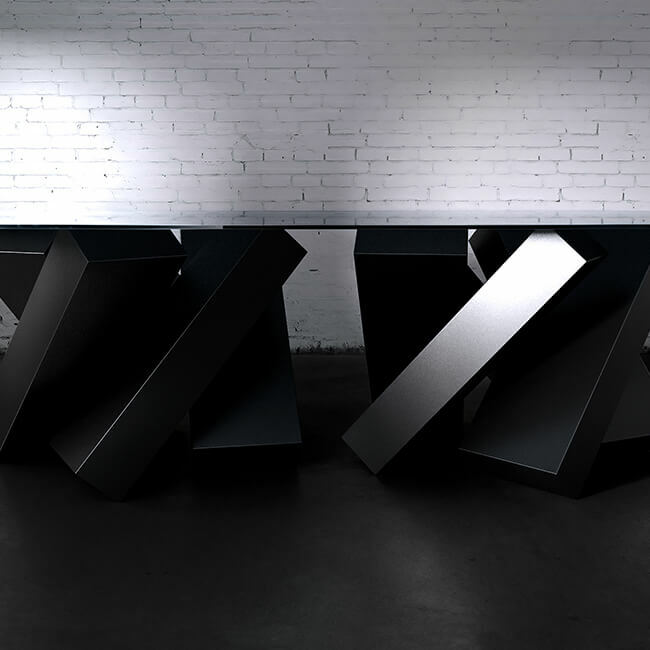 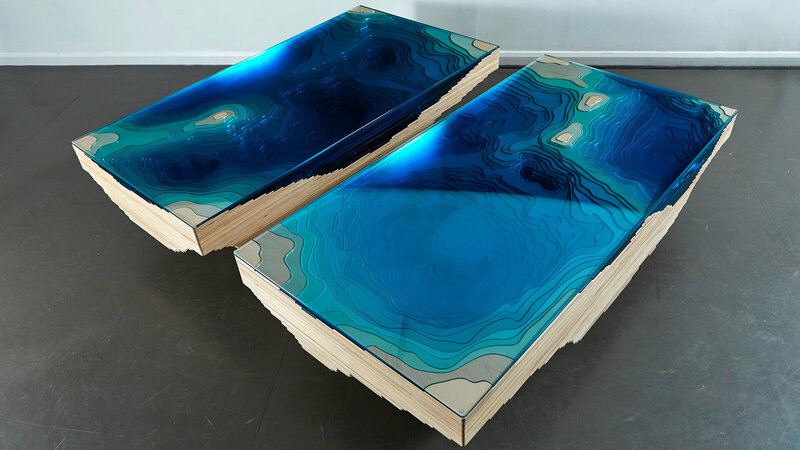 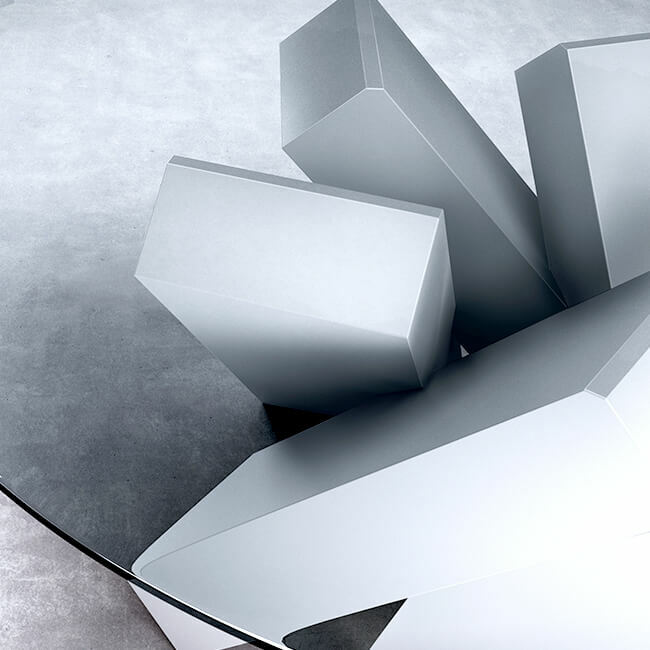 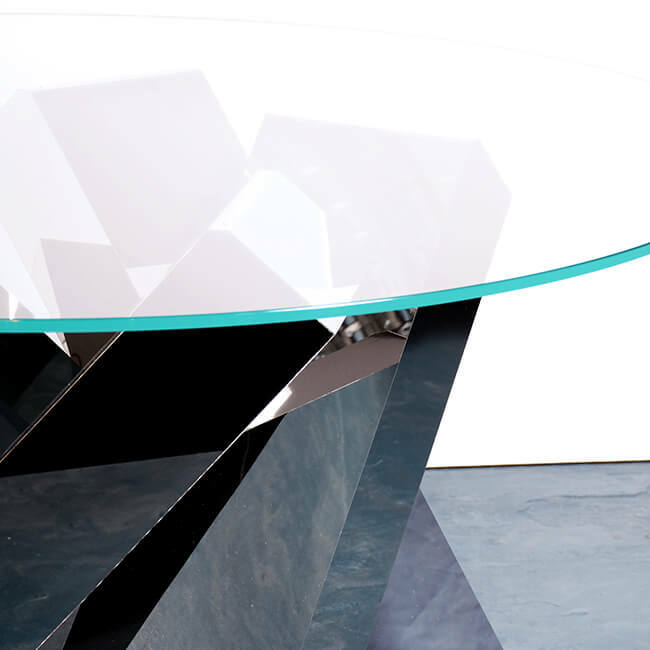 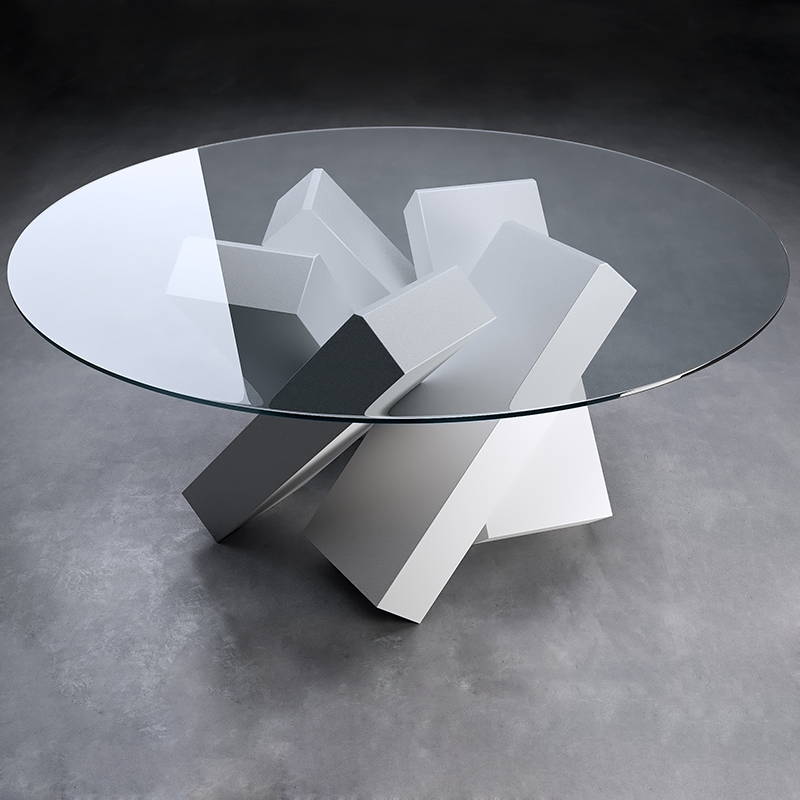 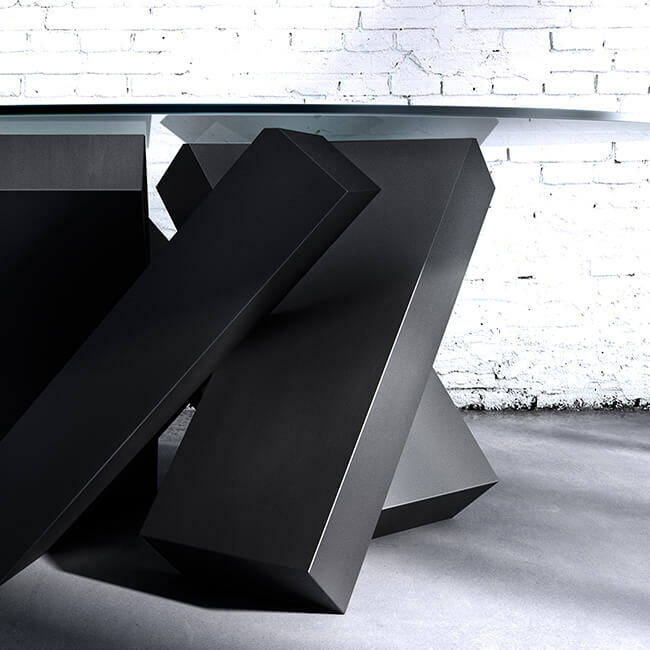 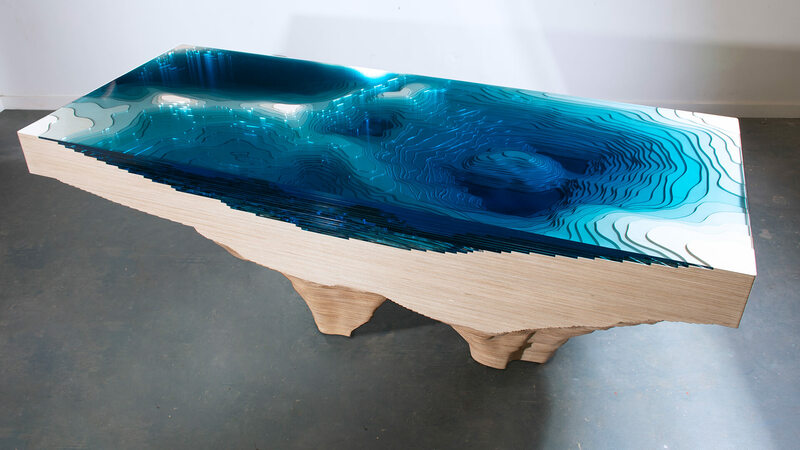 The Megalith Table Round Edition 2016 is limited to 25 editions. 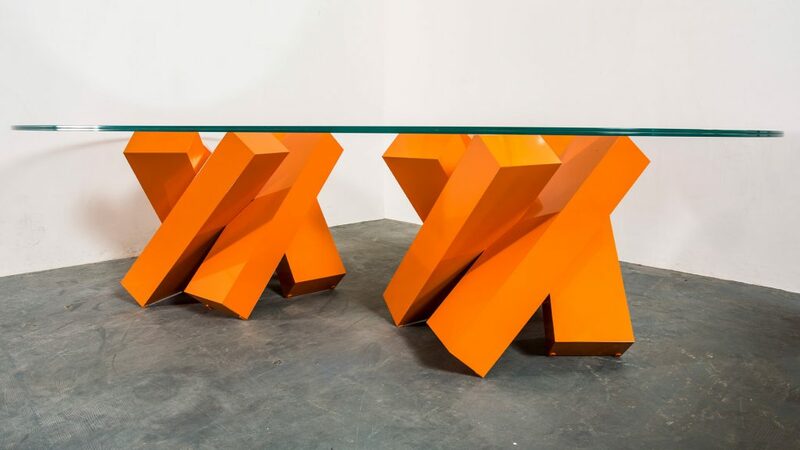 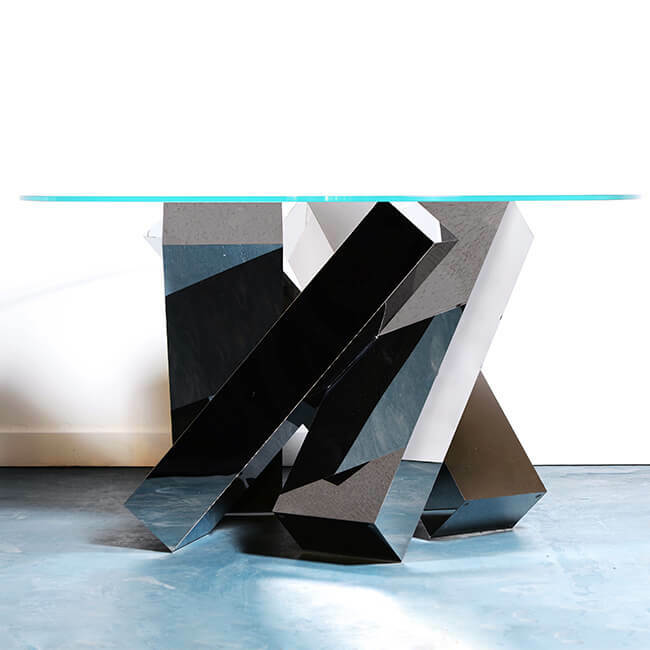 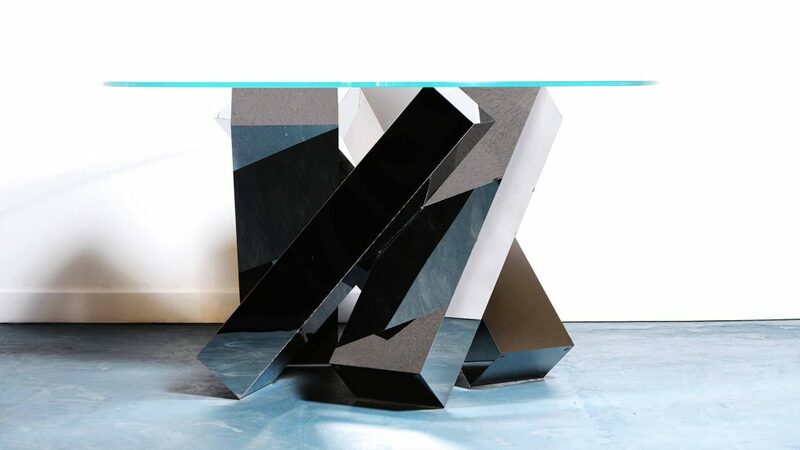 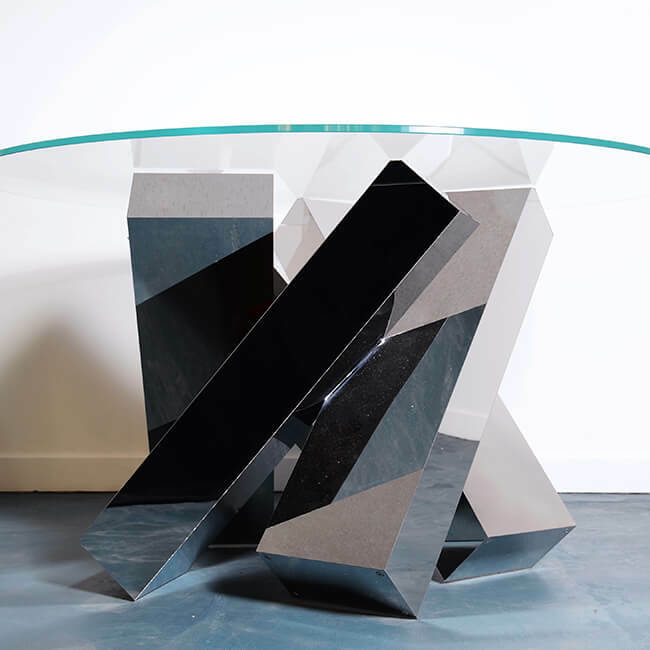 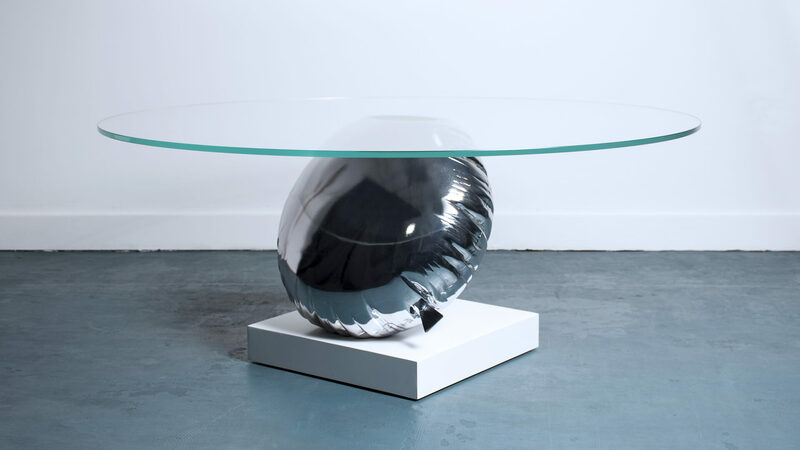 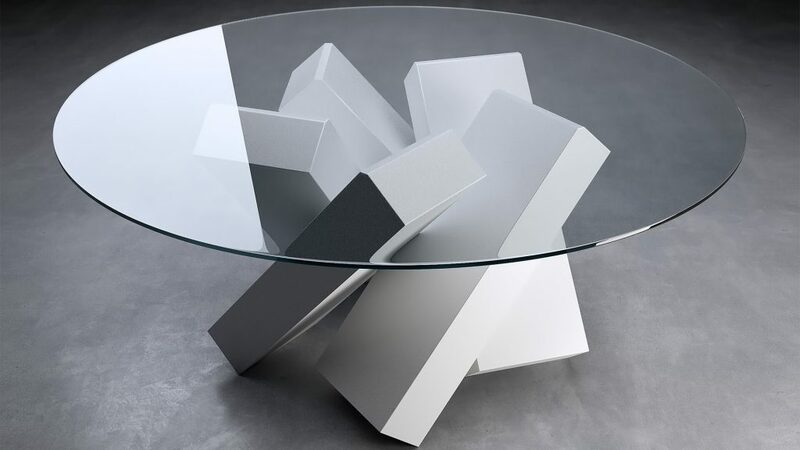 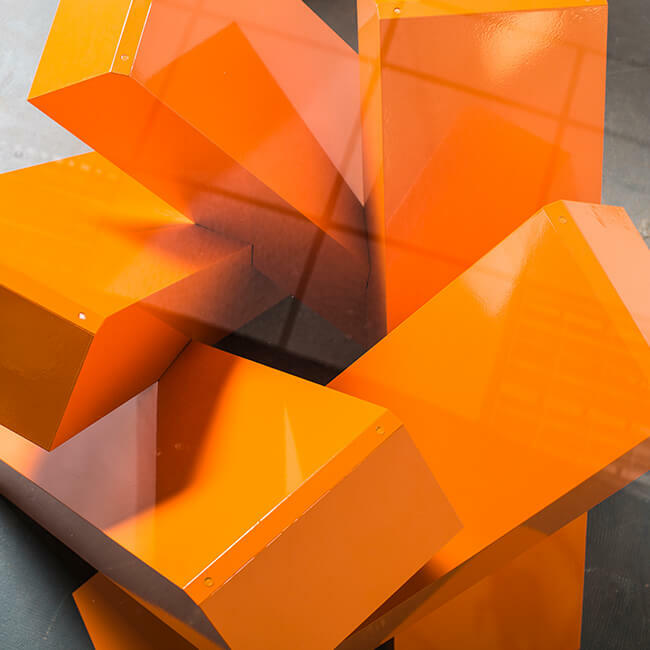 With its glass table balancing miraculously on top of toppling monoliths, Duffy London's mind-boggling creation appears to defy the laws of physics by remaining in a permanent state of impending collapse.